Recruitment – Kappa Phi Lambda Sorority, Inc.
Are you interested in becoming a member of Kappa Phi Lambda at your university? Membership recruitment for our sorority is conducted by each school utilizing their own unique recruitment program each semester/quarter per year. If you are interested, please visit your respective university’s website to find out more information. If your university is not listed and you are interested in starting Kappa Phi Lambda at your school, you can learn more about expansion here. Below are some Frequently Asked Questions which may help you to decide if participating in Kappa Phi Lambda’s recruitment is right for you. What is recruitment or rush? 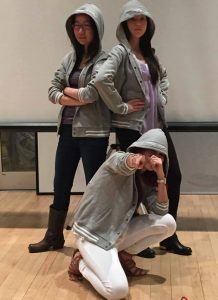 Membership recruitment, also known as “rush”, is a period of time at a university during which an unaffiliated student can get to know the members and values of the sorority. This period of time is usually around 1-3 weeks. 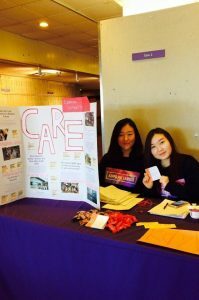 Recruitment events are both social and informative and are opportunities for the student to find out if the organization is right for her. Kappa Phi Lambda recruitment events are always free, so students should feel welcome to come and have fun without further obligation. Attendees are also by no means obligated to accept their bid, if extended, to participate in the new member process. A bid is an invitation to you from a chapter or colony to begin the process to join Kappa Phi Lambda. After recruitment ends, bids are given to individuals deemed to be a good fit for our organization. In order to be eligible for a bid, the interested individual must go through an interview process and attend a set number of recruitment events (which may vary depending on individual schools). What is Kappa Phi Lambda’s new member process like? Kappa Phi Lambda’s new member process occurs after the recruitment period. It is an educational period of time during which a student participates and plans activities in order to learn about Kappa Phi Lambda’s history, values, and our members. At the end of this process, potential new members are then initiated into Kappa Phi Lambda as a sister. What is the difference between Kappa Phi Lambda and a club? Kappa Phi Lambda’s new member process is an educational period of time during which a student participates and plans activities in order to learn about Kappa Phi Lambda’s history, values and our members. At the end of this process, potential new members are then initiated into Kappa Phi Lambda as a sister. Will joining affect my academics? Kappa Phi Lambda values academic excellence and recognizes that the reason students enter college is to receive an education. Students must maintain the minimum academic criteria set by their respective universities in order to participate in the sorority. Individual chapters and colonies may also have additional academic requirements for joining. Additionally, the new member process will provide and encourage regular study hours. I’m not Asian or Asian American. Can I still join Kappa Phi Lambda? Absolutely! 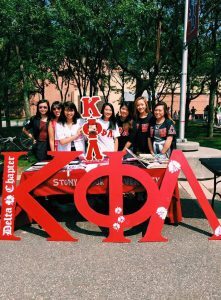 Although the sorority promotes Pan-Asian culture, we strongly encourage women of all backgrounds to consider joining. In fact, our current membership boasts of women from a diverse array of cultures. As one of our three pillars, Cultural Diversity is an essential part of the organization’s identity. We celebrate this diversity by holding cultural events on campuses and within our communities. Chapters and colonies also host joint events with other clubs and Greek-lettered organizations to further promote a spirit of cultural awareness. We believe recognizing individual members for the unique value they add makes us greater as a whole. What is Kappa Phi Lambda’s view on hazing? Kappa Phi Lambda enforces an anti-hazing policy via the National Constitution and Risk Management Policy and in accordance with university policies and state laws. All existing and prospective members have the right to be treated fairly, with dignity and respect. Hence, our new member process is positive, and focuses on nurturing prospective members to become women of values and vision. How will Kappa Phi Lambda enrich my college experience? College is a time to explore, become well-rounded and gain the skills necessary to enter post-collegiate life. Although academics are important, there are other skills which can empower you as an individual. Social, organizational and leadership skills are just as crucial, whether you plan to enter the workforce or continue your education post-graduation. Joining a sorority can help students learn these skills and offer the opportunity to be more deeply involved within the college and local communities. Additionally as a cultural sorority, Kappa Phi Lambda aims to spread cultural awareness to our members and their community. We hope that these experiences as a whole will enrich your college experience. Will Kappa Phi Lambda give me opportunities for networking? With over 3,000 sisters nationwide and a close bond that connects us all – there are infinite networking opportunities. Many alumnae sisters actively participate in sorority activities post-college. 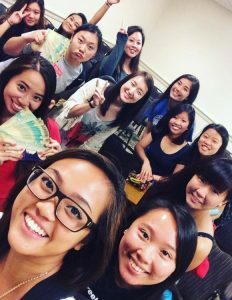 They are also involved in alum-only sisterhood activities and are kept updated through an alumnae network and close friendships. Years after graduation, sisters find success both professionally and personally, all the while continuing to represent the sorority’s letters. Becoming a sister of Kappa Phi Lambda also provides members a foot in the door for further networking opportunities especially within the Greek community. This may be the most important question on your mind. To answer your question, we emphasize our strong values and our pillars. Although we build many friendships and memories between a diverse group of young women across generations, our ideals of cultural education and social impact is what makes Kappa Phi Lambda stand out. We believe in not only helping the community but being an important force in society. Every Asian American woman (and every woman in general) deserves to have a voice that is heard. As an organization that strongly in our values, we hope to help our members become leaders of the world.